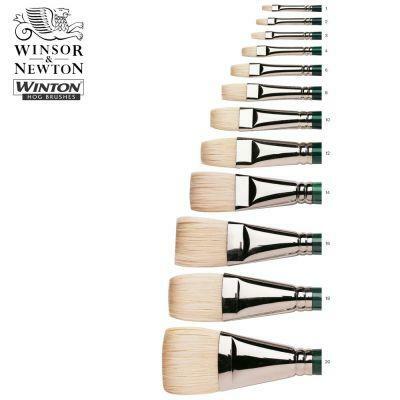 The most popular shape which produces bold, defined marks expected from a flat brush. 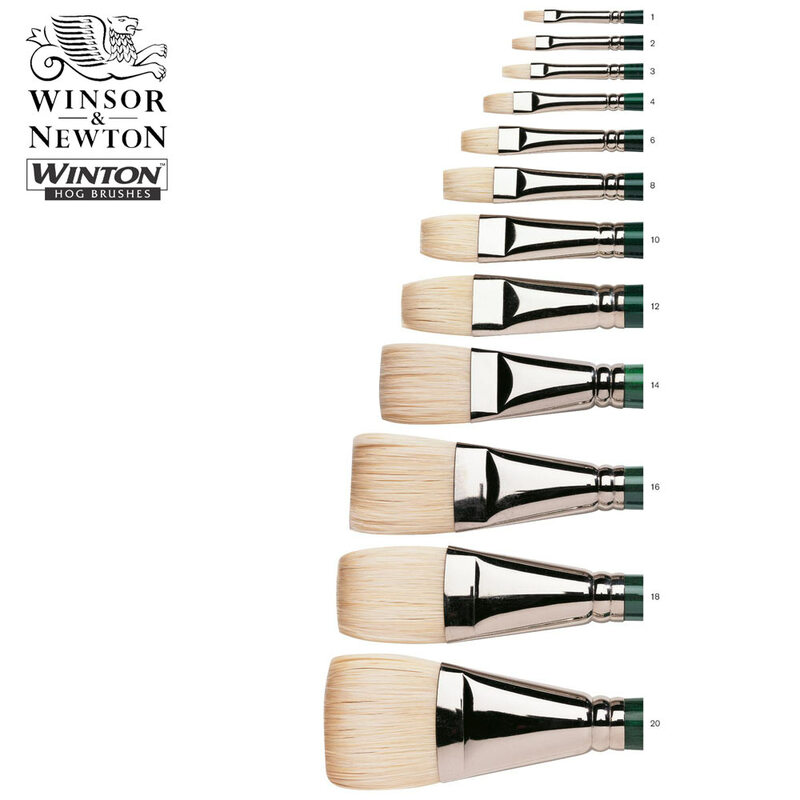 The shorter bristles give greater control. Green stained and laqured handles.